Halymenia sp. Dragon’s Tongue is a very popular macro alga in the marine aquarium as it is a great alga for the Tank Display. Beautiful looking, slow growing and non-invasive. These macro algae will become fast a highlight in the Reef Tank & Seahorse Tank too, where it provides additional holdfast for Seahorses. By buying this product you can collect up to 9 loyalty points. Your cart will total 9 points that can be converted into a voucher of £ 0.18. 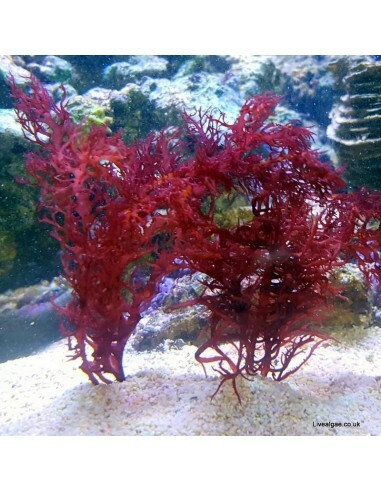 The red Dragon’s Tongue macro algae is a more delicate alga, which grows in long blades with red to bright orange edges. Halymenia sp. Dragon’s Tongue prefers a place with medium to strong light. Larger herbivore fishes like tangs will eat the Halumenia Algae species, but smaller fishes don't show much interest in it. 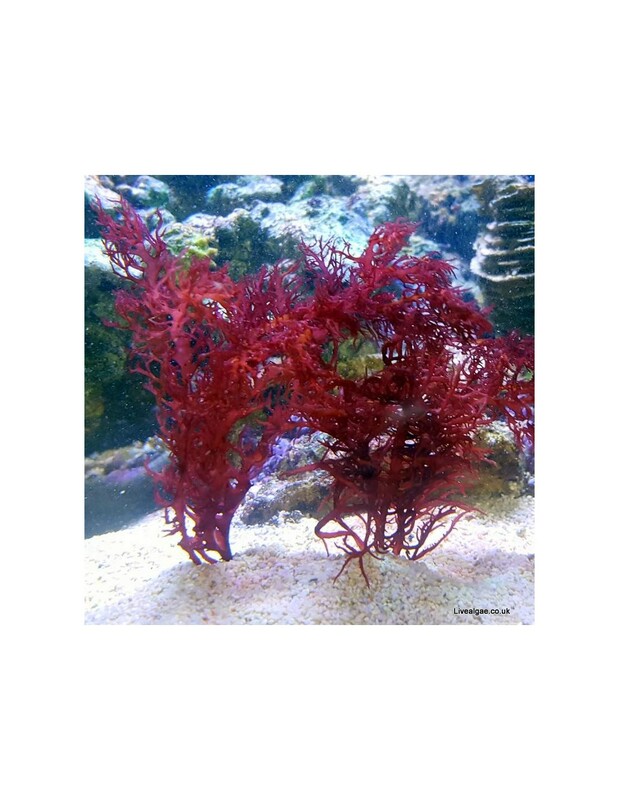 If you have larger herbivore fishes we recommended to keep this alga in a safe place until you like to offer it as additional food to your fishes. As the Dragon’s Tongue macro algae won't attach itself it can be easily glued ( we use thick cyanoacrylate super glue ) to rock where you like to have it. When trimming is necessary we recommend to cut it instead of breaking it off, as it won't damage the algae too much. This macro algae species prefers low to medium strong flow. The tips of it will appear sometimes orange, which is a sign of growth and that it gets a lot of light. Which isn't bad for this marine algae. Purchased 3 algae specimens and couldn\'t be happier with what I received. This is my first order from here and I am very satisfied with everything that was sent. What a fantastic looking algae, it looks just great under my full-spectrum light.